Sande plywood is a marine purpose plywood. It is typically sapwood and heartwood that is yellowish white, light brown, or yellow in color. This wood texture is medium to moderately coarse. 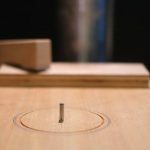 The grain can vary from narrowly or widely interlocked and the manufacturing process for this type of plywood incorporates a water resistant glue, making it the perfect choice for projects that will be coming in contact with water. Sande plywood is typically used in marine applications. For example, it is commonly used in boat building applications. It is constructed out of high-grade wood and is known for having many advantages over standard plywood. 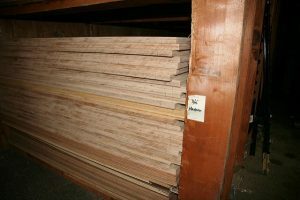 The primary difference between this marine plywood and standard varieties found at home improvement stores is that marine-grade plywood is designed to specifically hold up to water, whereas others are not. Besides utilizing a binder or glue that is intended for submersion in water, marine type plywood is typically made with twice as many layers as its nonmarine counterparts. Marine plywood isn’t only used in boating applications, however. It is also used for many indoor purposes, such as in the construction of bathrooms and kitchens. If you are thinking about renovating a bathroom, kitchen or other room where water or moisture is likely to come in contact with the walls, then Sande plywood might be the ideal choice. The outer layers of Sande plywood are typically made from tough, durable material. This helps it withstand strong impact damage. As you might have guessed, Sande plywood is typically used in projects where frequent exposure to wear and tear is expected. Projects that utilize this plywood have been known to last for upwards of a decade. That means that you aren’t going to have to worry about replacing the wood any time soon. When you think of plywood, it’s likely that you think of something utilitarian rather than a product with an aesthetically pleasing finish. In fact, many applications call for covering the plywood with some other material such as flooring or siding. The plywood varieties that do come with a great looking finish are typically used for cabinetry or furniture – the finish simply isn’t made to withstand impact while keeping its handsome appearance. That is not the case with Sande plywood. This comes with a beautify smooth finish that lasts even when exposed to harsh conditions. Sande plywood looks nice as-is, and it’s even better when painted or stained match the needs of the project or to fit your personal aesthetic. Keep in mind that you’ll want to use a finish that’s compatible with the conditions the finished project will be exposed to, as well. Birch plywood is another common plywood that people love to use, but its application and purposes are quite a bit different from Sande plywood. For example, birch plywood has a fine grain that makes it ideal for projects where appearance matters. It is typically used for cabinetry, shelving, and furniture building. If you’re building a chest or a dollhouse for example, birch is a great plywood product to use! The problem with birch plywood is that it is not as resistant to the elements as the marine types of plywood. Have you ever left a piece of plywood out in the rain? When excess water comes into contact with plywood for a prolonged period of time the glue bonds that hold the wood layers together begins to weaken to the point of failure. Sande plywood is the opposite: It is specifically designed to withstand exposure to water. If you are working on a project that requires the use of plywood that can withstand the elements, you’ll want to use marine-grade plywood. Whether you are building a boat, revamping your kitchen, or remodeling your bathroom, you’ll want to give Sande plywood a try.